Qianhaiwan Station is a station on the Huanzhong Line of the Shenzhen Metro in Shenzhen, Guangdong Province, China. It started operations on June 15, 2011, and serves as a transfer station to the Luobao Line.Qianhaiwan Station is located under Chenwen Road in Shenzhen's Nanshan District. 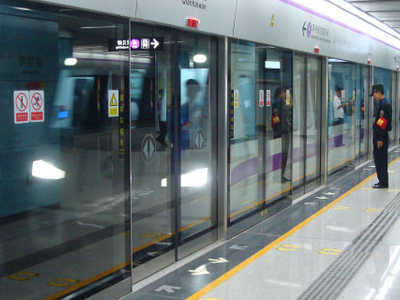 Here's the our members favorite photos of "Metro Stations near Nanshan". Upload your photo of Qianhaiwan Station!